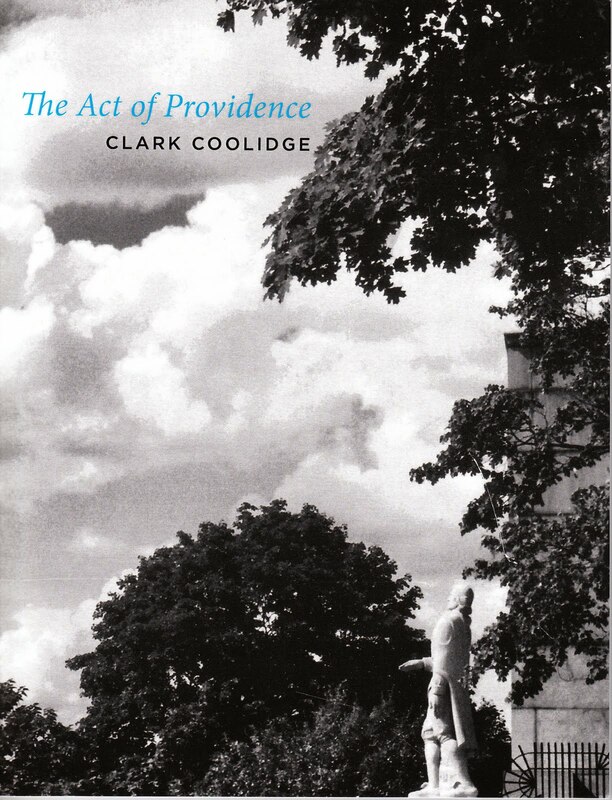 I am currently revising a book-length study of Coolidge’s early work (1962–1978); the majority of my posts will likely come out of this material, but I’ll also be sorting and sifting through his several dozens of collections that have come out since then. Anything like a complete survey of his work will inevitably elude us, particularly since his considerable unpublished work at least equals and probably exceeds, in terms of sheer page count, the published work. I’ll be trying out a variety of reading strategies that I think propose themselves when facing such a vast and variegated body of works, particularly one that resists that standard academic work of close readings for paraphrasable content. My hope is that these commentaries will prove equally useful to those both familiar and relatively new to Coolidge’s writing.